← Why is the low base saturation/soil acidification/nutrient depletion/extreme surface water acidity in SW Nova Scotia still ignored in Crown land harvest decisions? 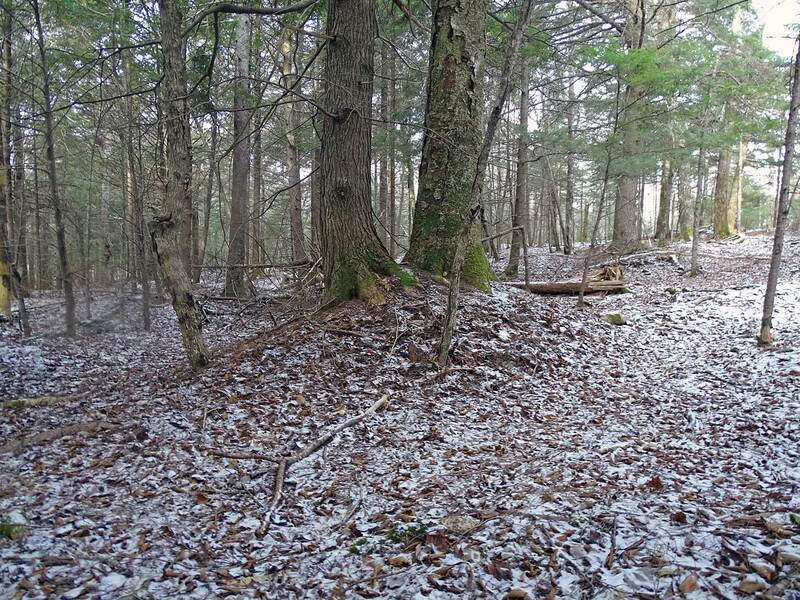 It seems that it has been quite normal to have periodic blowdown of smaller to larger patches or stands of well established Old Growth forest in NS, one result of which is formation a “pit and mound” topography. The uprooted bases or the soil-covered mounds that form over time in turn are preferred ground for establishment of tree seedlings, and most of the big trees we see today in OG stands (or patches) are found on top of mounds. The pits often develop as vernal (temporary) pools, providing habitat for amphibians and other organisms requiring water for part of their life cycle. As the trees grow old and mounds erode, the tree roots are exposed creating cavities for wildlife between the roots and the trunk. Trees snap off in a windstorm or just die in place providing “snags” that support another suite of wildlife, and when they fall over, another suite as they gradually return to and enrich the earth. So the blowdowns, smaller and larger, benefit the overall health of the forest. 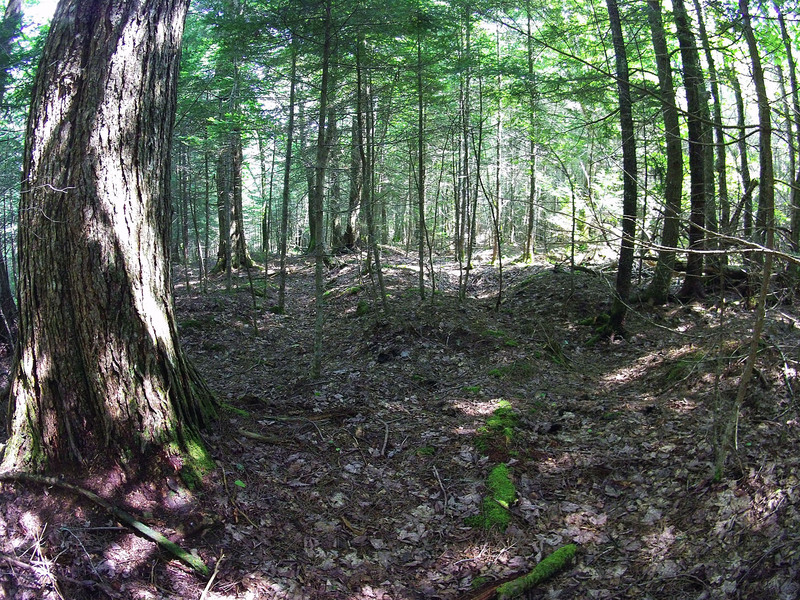 I think there is a growing realization that a Pit and Mound Topography is also the norm in Old Growth stands or patches of Old Growth in Nova Scotia* and thus that blowdown and pit mound formation is a process to which our Old Forest species have adapted. Dr. Elena Ponomarenko shows participants in the MTRI Old Forest Conference (Oct 19-21, 2016) how to read the forest floor to uncover past disturbances and forest types. Donna Crossland with soil corer at right, Bruce Stewart of NSDNR to her left (it is a DNR study site). *In that regard, we owe much to Russian born soil scientist Elena Ponomarenko, a resident of Ottawa for some time. Keji Park ecologist Donna Crossland brought her to NS in the 2000s to gain some insight into the history of disturbance regimes in Kejimkujik National Park, and Elena has visited many times subsequently, some of them on the behalf of NSDNR. I was lucky enough to attend a field workshop/lecture by Elena Ponomarenko and Donna Crossland at the MTRI Old Forest Conference in 2016, and subsequently applied some of what I learned there to informal studies of Old Growth in the vicinity of Sandy Lake (Bedford, NS). In the process, I discovered that retired DNR pest specialist Bob Guscott was conducting similar sorts of observations at Grand Lake and we began to collaborate, with frequent communication with and some direct collaboration of, Elena P and Donna C.
Hence my Answer to the somewhat rheotical question “If an Old Growth stand blows down, is it still Old Growth?”: Yes, if the blowdown is not removed (e.g., as a salvage harvest). This Q&A has some practical implications. First, it suggests to me that a patch or stand that might not qualify as “Old Growth” under Nova Scotia’s Old Forest Policy* but that has perhaps a few trees older than 125 years, and many more at younger ages but all on pit and mound topography is really a stage in the normal dynamics of Old Growth, and so should be considered Old Growth. Stuff to munch on, like the diverse beetles feeding on well decayed deadwood. Bobrovsky M.V., Loyko S.V. Russian Journal of Ecosystem Ecology Vol. 1 (1). 2016. A descriptive article with photos. It references classic research by E.V. Ponomarenko who has been working in Nova Scotia recently. Pondering the PIT & MOUND TOPOGRAPHY at Oakfield Park, Nova Scotia (YouTube video) “Field-active” retirees Bob Guscott and David Patriquin discovered they share a passion for studying pit and mound topography in forests in the vicinity of Halifax, Nova Scotia. 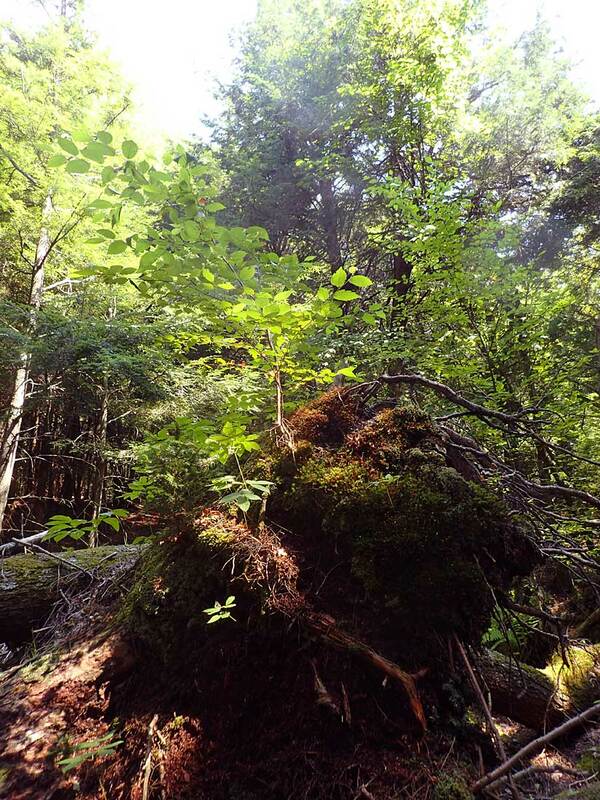 This entry was posted in Acadian Forest, Biophilia, Old Growth, Tree Harvests. Bookmark the permalink.